Calendars.com or Amazon or Target. If you would like permission to reprint Rubes® cartoons, please use the Creators.com contact form. 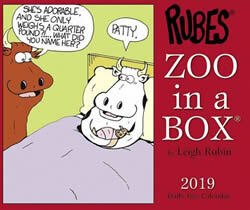 If you're interested in licensing Rubes® cartoons, please contact Leigh.